Full of talented young professionals, the Brooklyn High School of the Arts Instrumental Studio “Blues from the Basement” is led under the direction of John Scandone. Founder of the music department at Brooklyn Arts, Mr. Scandone is regularly performing on French horn all over NYC with various symphony and opera orchestras and chamber groups at Lincoln Center, Carnegie Hall, Merkin Concert Hall, and Bargemusic. Under his expertise, Blues from the Basement has performed at Carnegie Hall, Lincoln Center, UFT Headquarters, and jazz festivals in the tri-state area. Playing prestigious charts ranging from Latin Jazz, to Blues, and having almost every player double on another instrument, The Jazz Band is like no other H.S. 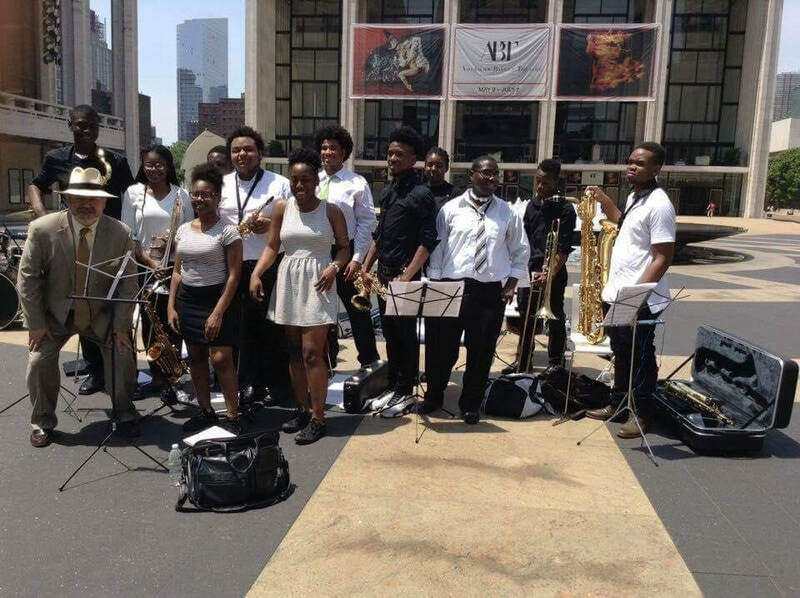 jazz band in NYC. 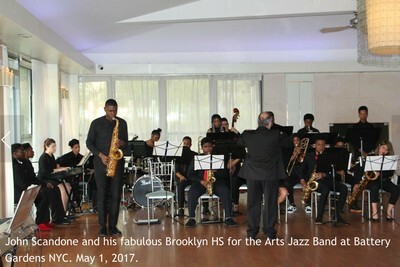 Mr. Lawrence, a Tenor Saxophonist has pursued the African-American Art form of Jazz starting at age twelve, through tenacious study at New York’s Brooklyn Conservatory of Music. As a teen he also participated in the New York All-City musical organizations. He continued his education at Hartt School of Music in Hartford Connecticut, under the tutelage of world-renowned saxophonist, Jackie McLean. The Institute now recognized as the Jackie McLean Institute of Jazz Studies is where he received his Bachelors of Music in Jazz Studies. During his time in Hartford he taught in various ensembles and theory courses at the Artist Collective. In addition, he participated in the Lila Wallace Reader's Digest Jazz Ensemble. He then went on to complete his Masters of Education from CUNY Brooklyn College Conservatory of Music. 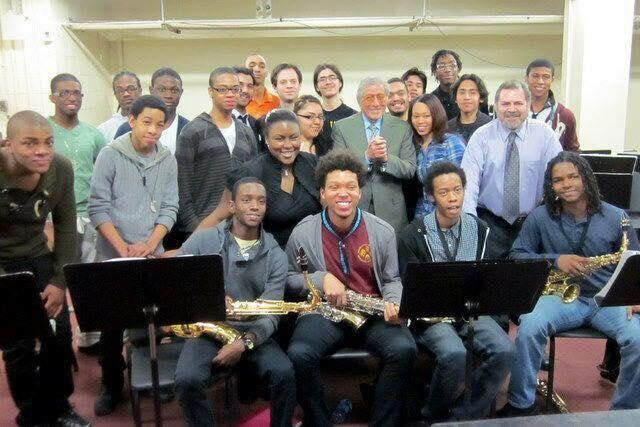 He currently Co-Conducts the All-City High School Jazz Ensemble. 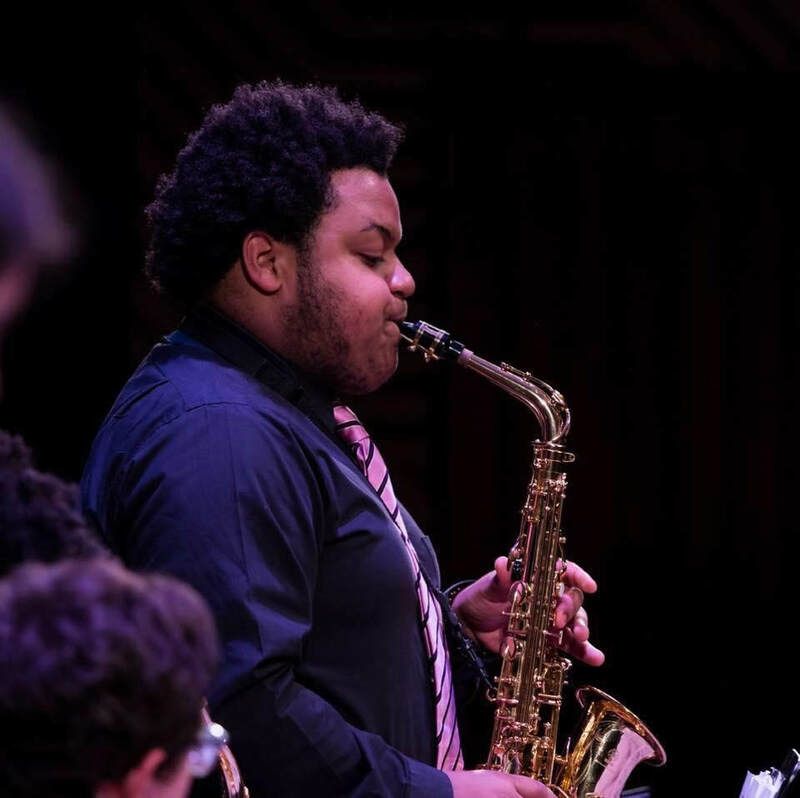 Some of his other past academic involvements include Assistant Jazz Ensemble Instructor at CUNY Brooklyn College. Some of the most noteworthy names in Jazz he has performed with include the Charlie Persip Superband, the Michael Carvin Quintet, Frank Lacey’s Vibe tribe and the Donald Smith band. In 2008 his Debut CD “Infinite Possibilities” was widely received in the Jazz world. Later that year he was featured as the CUNY Green Artist of the year. UFT Headquarters: Our annual United Federation of Teachers Headquarters performances are some of the most important performances throughout the year. The jazz band practices in class, at lunch, after school, and any other time the musicians can find to make sure their music is at its best. We get called first when it comes to live performances at the UFT Headquarters, and always live up to the expectations each and every time. Our two most recent performances - April 15th and May 15th 2018 - were exceptional, and performed to rave reviews. 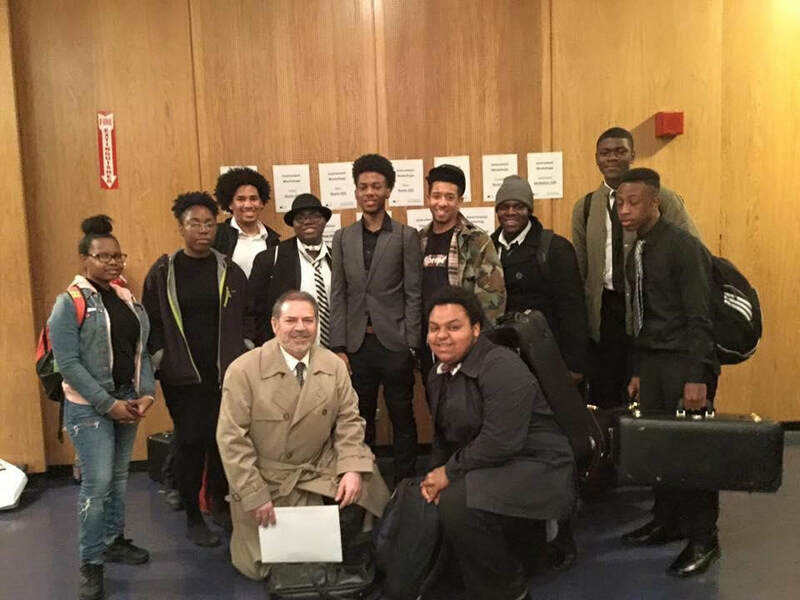 New York State School Music Association (NYSSMA): Each year, Blues From the Basement participates in Level VI NYSSMA Festivals, often achieving gold and gold with distinction. Last year, the band brought the Gold Award home. 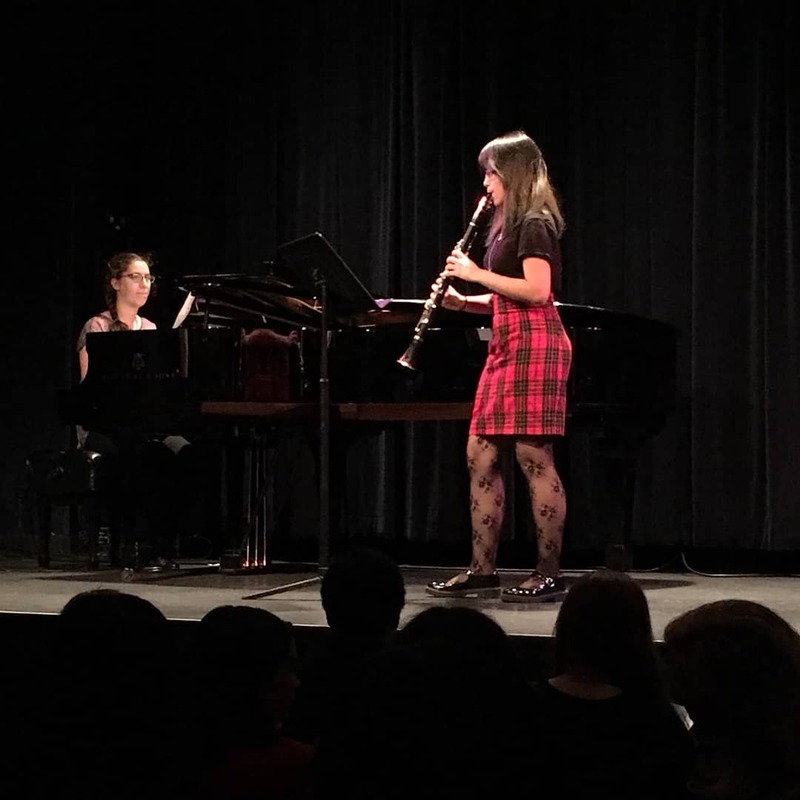 Our jazz band played LuLu’s Left Town by Mark Taylor, St. Thomas (standard), and My Funny Valentine, featuring Alto Saxophone Soloist Michael Dundas.